The $20.99 750-mL bottle of barrel-aged stout to put away for sometime special and the $11.99 four-pack of Belgian-style ale that’ll go over well back home were already in my basket. I also wanted a sixer of something hop-heavy for myself. I wavered briefly between a great IPA from a regional brewery that I favor for $9.99 and a maybe slightly better one for $12.99, then decided to save those three bucks this time around. Three beer choices. Lots going on. Occasion, style and flavor, package size, brand and, of course, price. There’s quite a range of them in the above close-as-I-can-remember summary of a recent trip to my suburban East Coast liquor store. And all those beers fall squarely within one segment, craft, where I spend most of my beer money. Lots of other consumers turn to similar beers with varying frequency for many reasons, from occasional dabblers looking for something new to guys spending Saturday morning in lines, or online, hunting whalez. Either way, spending more than the average buck-a-beer (at least in U.S. grocery, liquor and convenience stores) means we all contribute to the ongoing premiumization of beer. 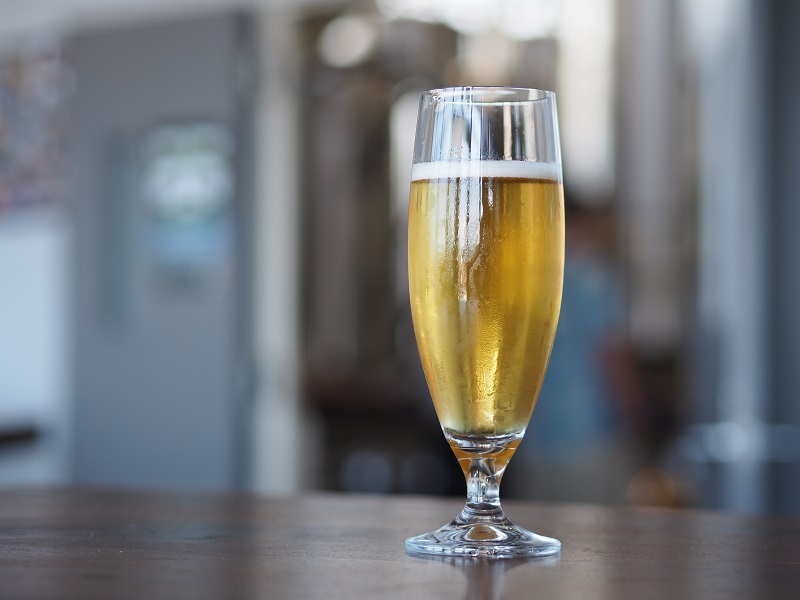 The average price of a beer continues upward, at least partly because many consumers find reasons to spend more on their beer choices than they need to. Sometimes it’s where the beer’s from or how it tastes or who made it or what the branding makes us think or feel. Sometimes it’s just buying something comparatively luxe that we feel like we can afford. Whatever it is, we’ll open our wallets a little wider for it. This premiumization is happening even within the craft segment. Yet at the very same time, at the other end of the price spectrum, large pack sizes offering clear volume discounts show up in stores with much greater frequency. That’s not likely to subside as small brewers grow and expand their offerings. Grocery stores stack single-brand and variety 12-packs or find room in coolers for more bottles and cans. Larger pack sizes can make a brand bigger and more important on an absolute basis, but worth a little less per ounce or per barrel. Even-bigger packs at competitive pricing push that even further. Since 2014, 15-packs of Founders Brewing Co.’s All Day IPA at prices competitive with 12-packs helped Founders grow the “Session Ale” into a top craft brand. Founders added 15-packs of new seasonal PC Pils last fall and will package two more seasonal IPAs that way in 2017. A handful of other breweries already launched or plan to launch similar packages. New Belgium Brewing Co.’s new Dayblazer Ale debuted in 15-packs of cans as well as 12- and 24-packs. SweetWater Brewing Co. started selling 15-packs of its Hash Session IPA in mid-2016. Oskar Blues Brewery put its session IPA, Pinner, in 16-packs for the first time at the end of the year. Note that many of these brands play with the notion of sessionability, making them attractive for traditional beer occasions often satisfied by bigger, mainstream brands. The more these beers trade consumers up from those lower-priced alternatives, the more dollars they bring into the beer category. And further down the premiumization road we go. On the other hand, these packages could also push consumers the other way. Imagine if, back at my liquor store, I chose to spend a few dollars more than I did on that $12.99 six-pack to get nine more beers. If I didn’t increase my consumption at all, I would save a lot more money in the end. Bully for my budget; less good for the store and for the craft beer market generally. The more consumers feel compelled to make that choice, the more negative pressure on average craft prices: the opposite direction of the way things have been moving. In some markets, good old-fashioned competition already makes it tough for craft brewers to raise prices. That’s bound to become more widespread; new breweries keep opening. When markets get tough and price comes into play, it’s often the less efficient (usually smaller) players that struggle to keep up. But relationships between size and efficiency or profitability aren’t always direct here, as sales in brewery tasting rooms and brewpubs make it easier for all those new brewers to compete. Many of those brewers maintain competitive pricing when they choose to retail or distribute their own beer. One of the reasons that part of the market is so healthy is that consumers are already finding their way to breweries, rarely to save money. In fact, lots of them head to breweries to pay very high prices for the most sought-after beers. Yet other brewers seem to justify lower prices this way. When a local, self-distributed keg costs less than a competing regional one, that makes it even tougher for brewers selling more of their beer through traditional channels. Now what if that brewery has already struggled to stay relevant to a new generation of beer drinkers? What if it’s acquired some debt to build a big new brewery or significantly expand capacity? And I’ve heard about a bunch of those these last couple of years. That suggests a number of companies with a few more loans to pay off than they’d like at a time when the market slows and price comes into play. Christopher Shepard is a writer and editor for Beer Marketer’s Insights and Craft Brew News. I think a mention of ‘Growler’ day specials is deserved here, especially as it is not hard to find prices as low as $8 per 60+ oz. fills. I love craft beer and the various options available for purchase, but I’ve also been concerned with the continuous rise in craft beer prices. Sometimes I simply can’t justify a $12 six pack. I won’t begrudge a company’s ability to make a profit, but I would like a company to consider the reality of prices to its customers. At some point, backlash is likely.